Siver with selected gold-plating coin (Silver 925, Gold 999). In the upper central part, there is a relief image of the national emblem of the Republic of Abkhazia. 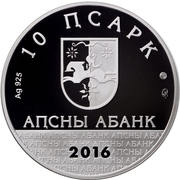 Underneath the emblem, there is an inscription in Abkhazian language “Apsny Abank”, above it – an inscription denoting the coin’s denomination of 10 apsars. 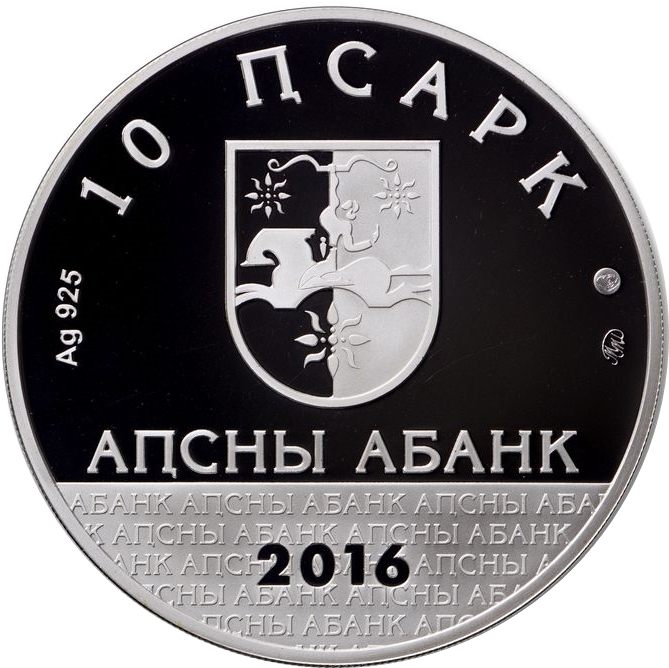 In the lower part of the coin, the year of minting is indicated – 2016. In the central part, there is a relief image of the building of the Sukhum city administration. In the upper right part, there are images of the hats of the Dioscuri – symbols of an Abkhazian reigning house. 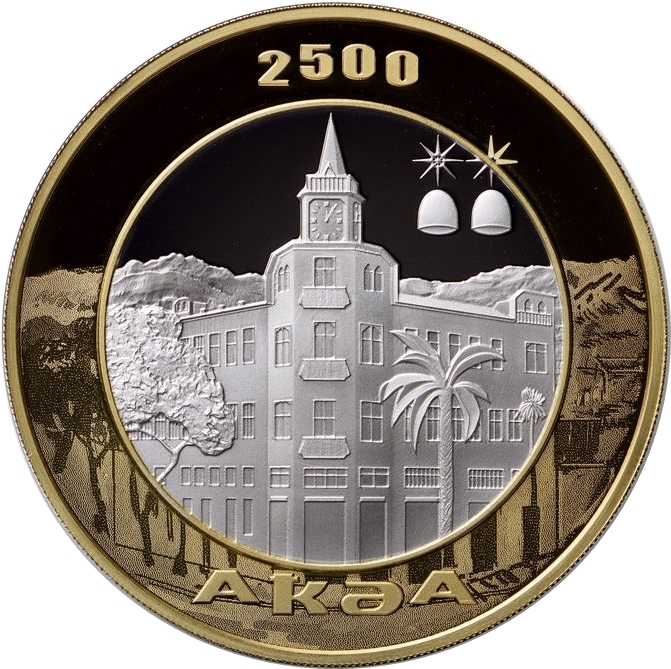 In the lower part of the outer circle, there is the city’s name in Abkhazian language “Akua”, in the upper part the city’s age is indicated – 2500 years.